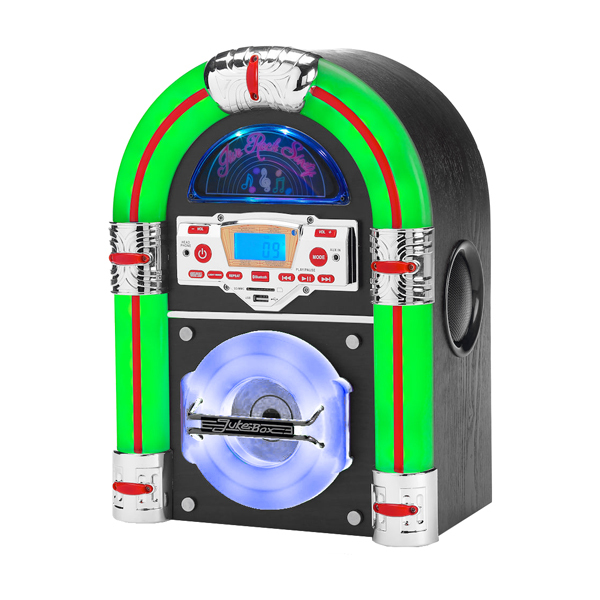 Fall in love with the sound of your favourite music again with the Steepletone Jive Rock Sixty Jukebox CD, Bluetooth, Radio and Aux Playback. 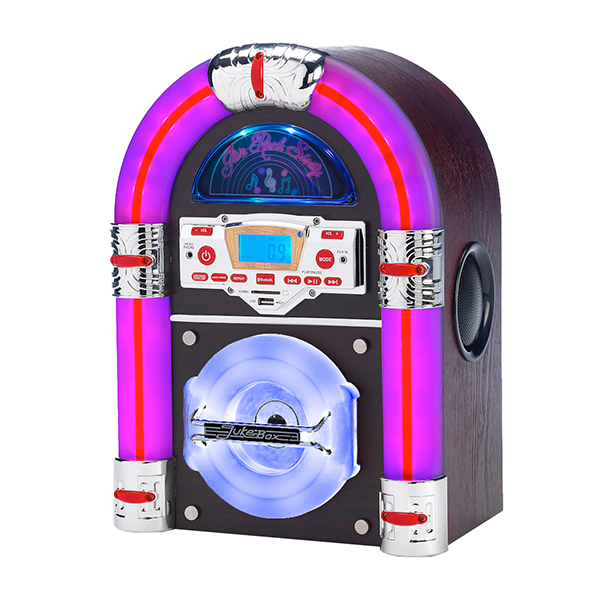 This stunning mini table top jukebox with cool, retro design is a real talking piece and makes the perfect gift for your loved one. 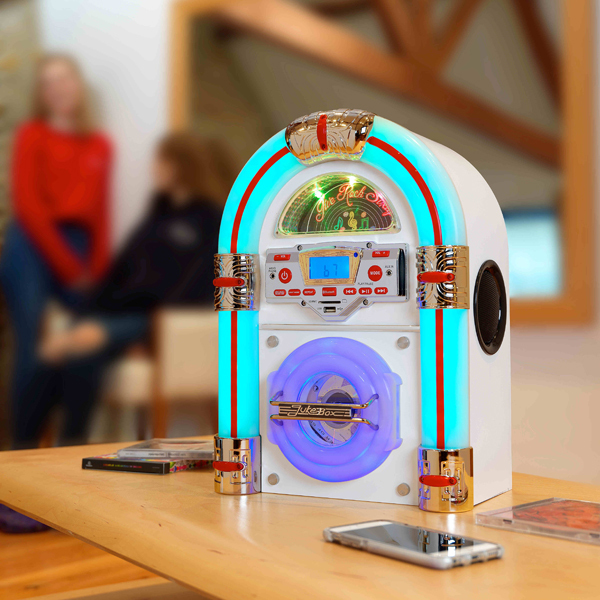 It has an LCD display and colour changing LED illumination in tubes, half-moon and CD door. 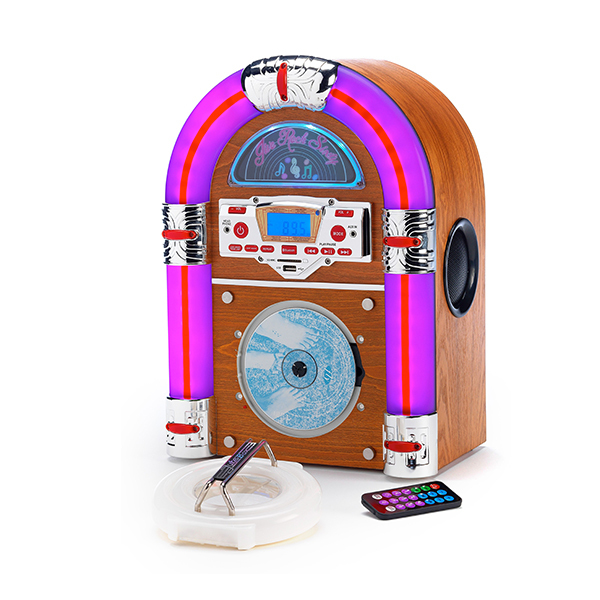 Its lights can even move to sound! Steepletone was founded in 1972 and is still a family owned business today.